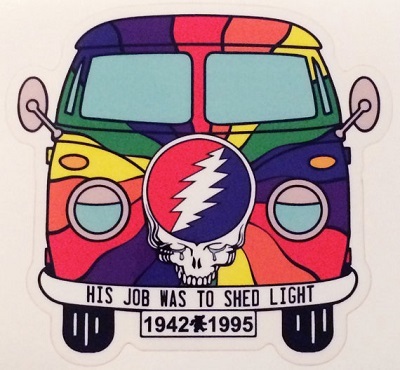 The Grateful Dead and VW Buses go great together on this sticker. It measures approximately 4" x 3 3/4" and is a clear polypropylene outside window sticker with UV laminate for durability and scuff resistance. Put it on your car, laptop, tool box, refrigerator, anywhere!